All Prison Break fans have something to be excited about. 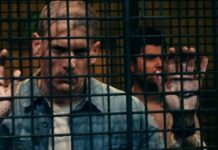 FOX recently announced that Prison Break will return for a limited series. The new series will have Wentworth Miller – the lead star – reprising his role as Michael Scofield. Gary Newman, Fox’s CEO, also confirmed that Dominic Purcell will be returning as brother Lincoln Burrows. 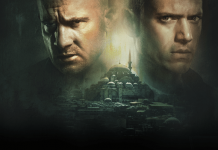 The new story is being written currently by Prison Break creator Paul Scheuring. The last episode saw the death of Michael. So how’s it possible for him to return? The plot that’s currently being written is expected to provide a logical and believable explanation for how the characters survived. The sequel’s trailer shows Lincoln and T-Bag having serious conversation about Michael’s presence in Yemen prison. Lincoln is planning to get his brother out of the jail, after having conversations with Sara. Season 5 will also reveal answers of Michael’s hidden agenda and as some rumors put it – his involvement with a secret ISIS-kind-of terrorist group. T-Bag may well have his own reasons to tell Lincoln that his brother is still alive. He could very well be striking a deal without Lincoln’s knowledge for the big escape plan. Season 5 could show the link to an important guy inside Yemen prison who attempts to break free. While Wentworth Miller and Dominic Purcell are the main characters, Season 5 will also feature Sarah Wayne Callies, Robert Knepper, and Amaury Nolasco. “I would describe it as a bit of a sequel. It picks up the characters several years after we left them in the last season of the show,” says co-chairman Dana Walden, Fox Television Group. “The brothers will be back. Some of the iconic characters from that show will be back” added Walden. Season 5 is expected to start airing on Tuesdays beginning Spring 2017. ‘Prison Break’ Season 5 Episode 9 Spoilers: Lincoln To Help Michael Save Sara & Mike; What Will Jacob Do? 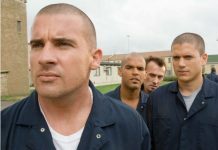 ‘Prison Break’ Season 5 Episode 1 Recap: Ludicrous Plot & Old Faces Are Back Sans The Original Class!